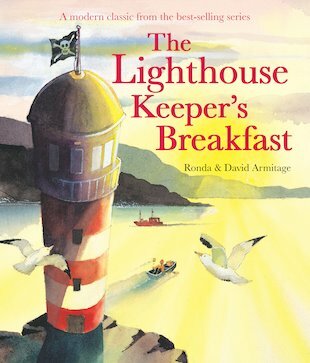 Mr and Mrs Grinling are throwing a fancy-dress party to celebrate the lighthouse’s 200th birthday. They plan to dress up as pirates and take the party by storm! But when they set sail on the high seas, they get a lot more swashbuckling than they bargained for – as well as a very unusual breakfast on the ocean waves!